Posted Thursday, October 30, 2014 4:27:30 PM - Jim Helfter saddled up and rode out on Sunday, October 26, 2014 for an evening ride through the forest and around his farm. It was his last ride. 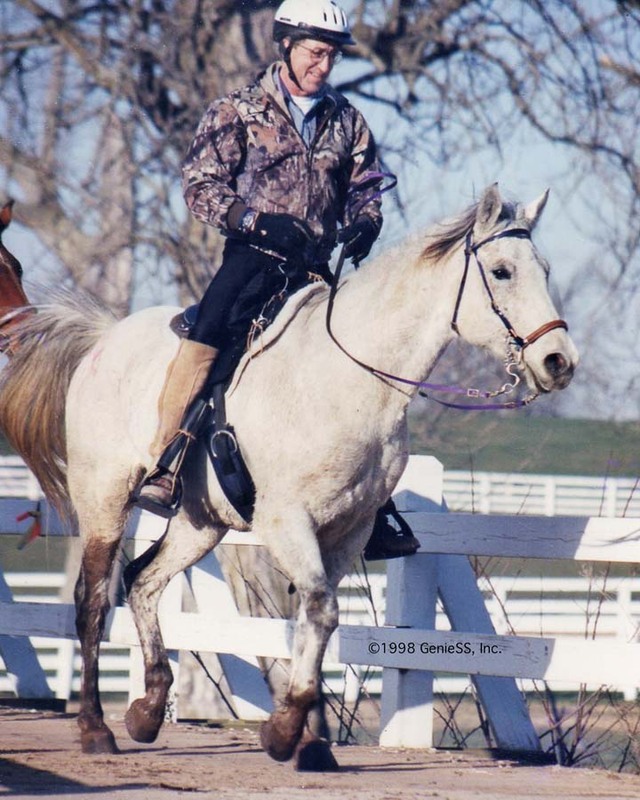 A true horseman, an exceptional nutritional innovator, a friend to many with a sparkly soul, Jim Helfter transitioned the way most horsemen would want to go - he died on a horse. He died in nature among the trees and the earth he so loved. Jim was not afraid to take on the “giants” and he defended Nature and her creatures with his whole being continuing to fight for the right to have organic and wholesome non-GMO feeds for animals. He was world recognized for his contribution to soil and water decontamination and was working on projects to assist a number of countries. Jim ensured that a system was put into place with trusted employees and professionals to carry on his legacy within ABC for generations to come. While we will all greatly miss Jim, our mentor and our dear friend, we will do everything possible to continue as is, taking one day at a time, ensuring that business as you know it will carry on as usual. We are here for you and ready to carry on! For those of you who knew Jim and would like to share any thoughts, we have set up a site — http://james.helfter.muchloved.com/ Condolences can be expressed here, and donations can be made in his memory for the UMECRA and the AHVM Foundation. Visit this link to donate to The Jim Helfter Memorial Fund for the Advancement of Research and Education Concerning Nutrition, GMOs and Glyphosate.